Breitbart.com has focused on inaccuracies in the bio of Texas gubernatorial candidate Wendy Davis, which misrepresents some of the “hard times” of her life, and depicts her as a divorced teen mom. It seems her first divorce was not until age 21. Another interesting milestone is that her second divorce appears to coincide with the final payment on her Harvard Law School student loan. Impeccable timing. The more salient point is the fact that Ms. Davis left her daughter Amber, by her first marriage, and her second daughter, Dru, in the custody of husband number 2 after her second divorce. Yep……. mom bailed on the kids. What a gal. Remember the lefties complaining about Palin’s supposedly neglecting her kids as she campaigned with McCain in 2008?? Palin’s family and her marriage remain intact, to this day. 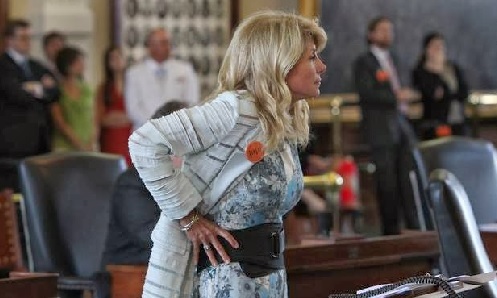 Will you hear the same lefties commenting about Wendy Davis (who gained undying love from Girl Scouts of America with her infamous pro-abortion filibuster) leaving her daughters in the custody of her ex husband while she pursued her political ambitions? Not a chance. It’s as OK for a left-gurl to abandon her daughters as it is to abort them. Abortion Barbie pic from Evilbloggerlady, who mentions Ms. Davis’s claim that she has mental health issues brought on by media criticism. Red State claims that Wendy’s second husband got a judge to order her not to use illegal drugs or alcohol before visiting the kids. 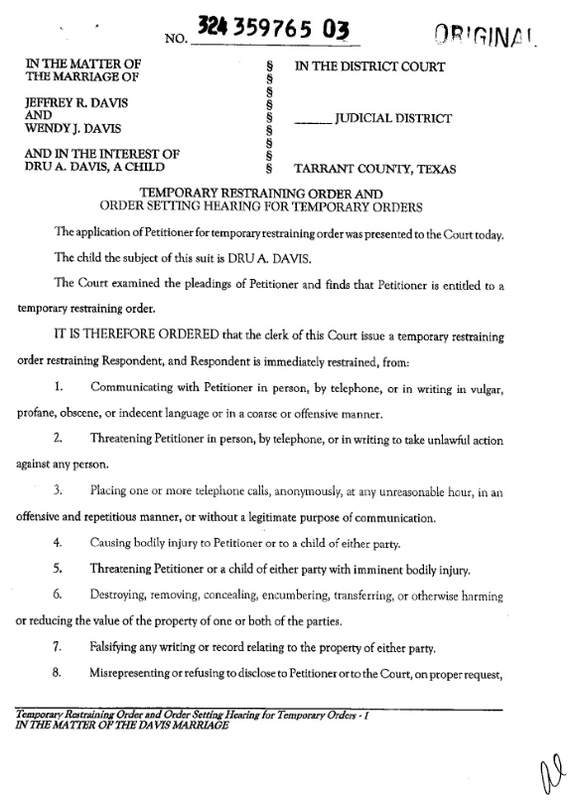 Red State has documented that a Judge issued a restraining order to regulate the behavior of Wendy Davis when she visited her kids. Find it at Scribd or a screen shot here, if that one disappears. At this link is a copy of a lawsuit Wendy filed against the Fort Worth Star-Telegram for criticizing her during a campaign for City Council. 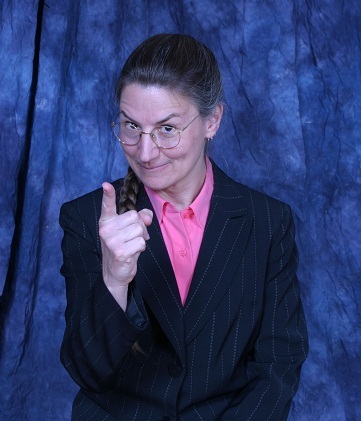 She lost that suit and the TX Supreme Court refused to hear it. Next ›Food Stamps and Amnesty: What Would Martin Luther King Say? This site can be a walk-through its the information you wanted concerning this and didn�t know who to ask. Glimpse here, and you�ll undoubtedly discover it.